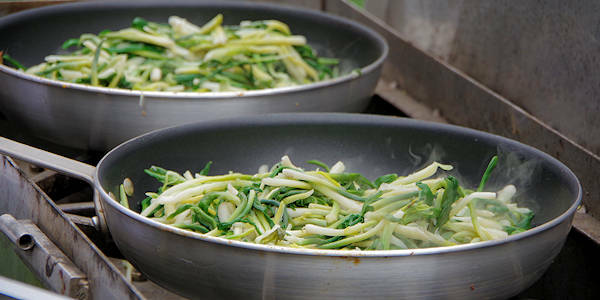 Join the local Cherokee people as they celebrate two local favorites, rainbow trout and ramps. 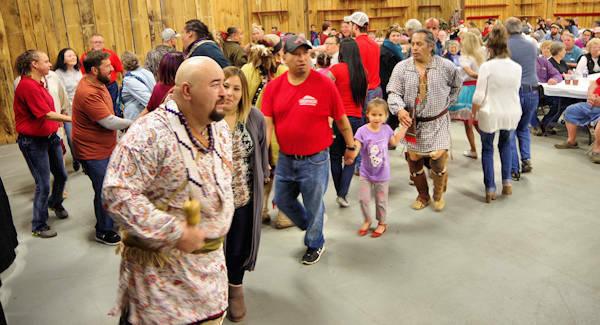 At this community festival, savor a "taste of Cherokee" plate with fresh ramps, locally caught trout, potatoes, slaw and cornbread for only $12 (includes dessert and drink!). Also, they will honor their elders, play games, and enjoy music and dancing. The event runs 10:30 AM until 2 PM. 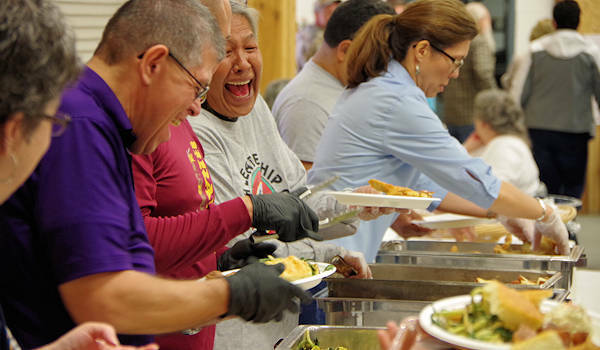 Many volunteers come together to create and serve this delicious lunch, having a good time along the way. We love that the elders (age 59.5 and over) eat free and are served first. Come meet some locals and make some new friends as you dine at long banquet tables. For more than 12,000 years, the Cherokee Indians have gathered ramps each spring, both for cooking and medicine (they are loaded with vitamin C and antibiotics). Ramps are a type of wild onion, sometimes called mountain leeks. They are the first green vegetable to appear in the spring in the Blue Ridge Mountains. They also are only available for a few weeks, and are carefully harvested in secret locations to leave the roots intact so they will continue to grow. They are highly sought by chefs from across the country. 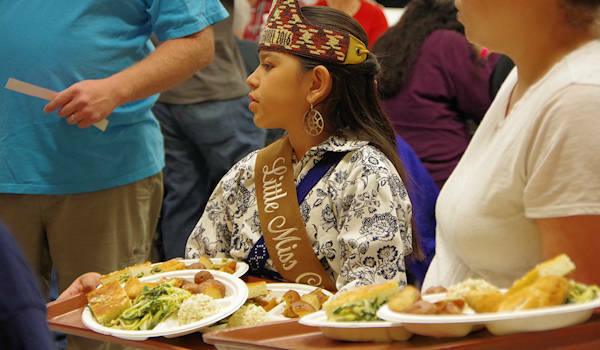 Little Miss Cherokee is busy serving the elders. Warriors of Anikituhwa perform and teach traditional Cherokee dances with the help of lunch guests - including the friendship dance. You can also join the Horseshoe Tournament outside with sign ups at the Cherokee Welcome Center starting at 10 AM. Cherokee’s Annual Opening Day Fishing Tournament is held Saturday and Sunday. The Cherokee Fisheries and Wildlife Management annually stocks 30 miles of pristine mountain streams with nearly 400,000 varieties of trout, including rainbow, brook, and brown trout. 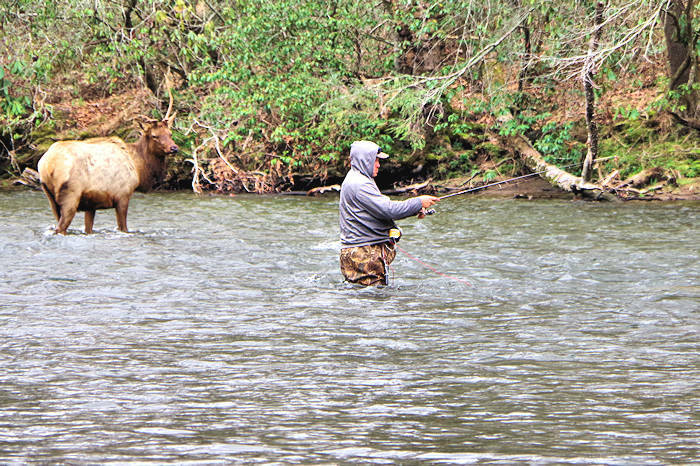 Don't be surprised to see some elk cross the river near you! For an entry fee of just $11, you'll compete to catch a tagged fish to win $20-$500. A total of $20,000 of prizes are swimming the rivers of the Qualla Boundary. 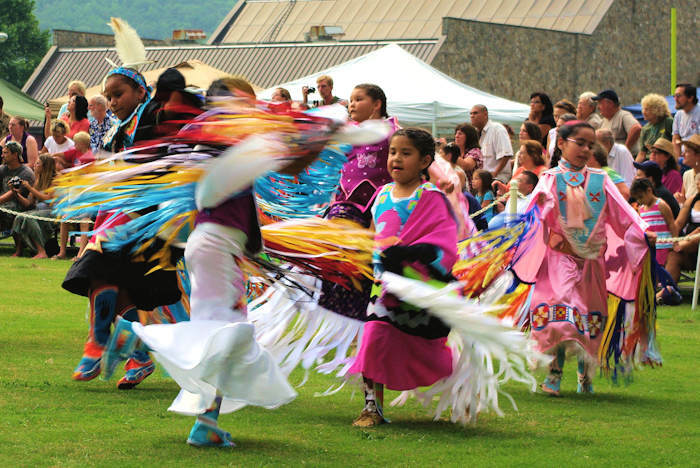 Festival Location: Cherokee Indian Fairgrounds, 545 Tsali Blvd. Cherokee, NC. Next door is the fabulous Museum of the Cherokee Indian and Qualla Arts Co-op. 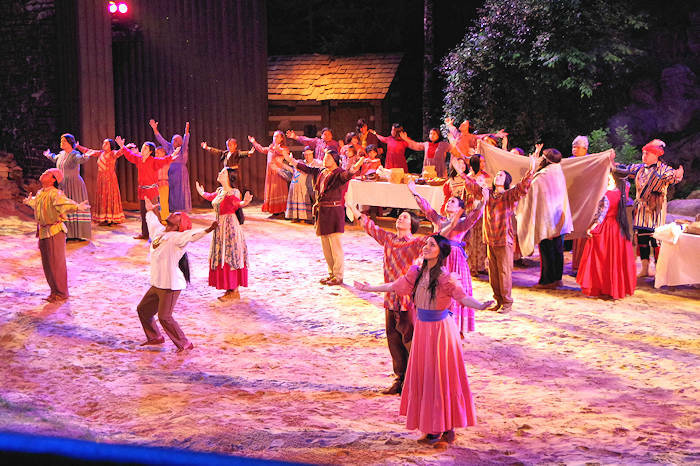 See our Cherokee Guide for many more things to do in the area.